An MPV (Multi Purpose Vehicle) has always been one of the most preferred car for a big family like mine, but what always barred me from buying the crossovers like Toyota Innova and Mahindra Xylo is their high price tag and maintenance cost. 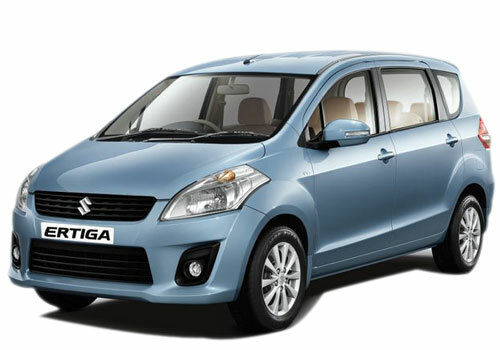 So, when I heard that Maruti Suzuki is coming-up with a low cost MPV – Maruti Ertiga – in the month of April, it was like the company is bringing exactly what I have been dreaming for. Price tag of Rs 6 to 8 lakh, powerful fuel efficient 1.4L engine in petrol version and 1.3L multijet diesel (the same Fiat sourced that company has already used in the popular cars like Maruti Swift, Maruti Ritz, Maruti Swift Dzire and Maruti SX4), is what exactly fits to my budget. And also, as everyone knows, there will be no maintenance cost hassle if vehicle is from Maruti Suzuki, the largest servicing network holder in the country, which has always been topping the charts in the customer satisfaction through its low cost maintenance. What will come in addition will be the high fuel economy, assured durability, and high price in the used car market. That said the only concern I have with this upcoming cross over is the quality of the interior material, something which has been constantly poor in the Maruti’s India portfolio car. However, I hope the company will come-up with a considerable improvement in the quality of interior fit and finish, as competing against the segment leader Innova, which is blessed with the superb quality material inside, will never be a cake walk for the Ertiga model. I believe that the maker of the country’s most popular cars like Maruti Alto and Maruti Wagon R, will soon be having one more feather in it crown by having another highly successful MUV Ertiga in its portfolio, considering its low price tag and high fuel economy, something which has always been the two unique selling points among the cost and mileage conscious Indian buyers.